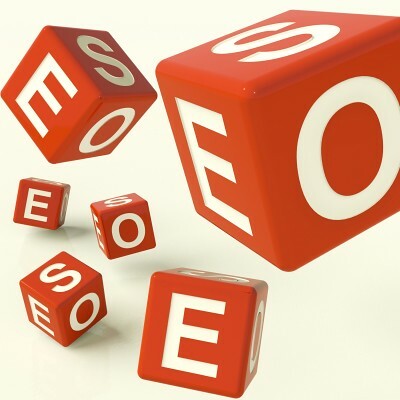 One cannot overstate how important SEO is for the success of your online business. While new or small businesses can start by employing basic optimization strategies, eventually they realize the importance of investing in an experienced SEO expert who helps them sustain when competition gets aggressive. What was traditionally considered a niche discipline in marketing now comes with emerging segments such as social media promotion, mobile SEO, local SEO, link-building, etc. With the maturing of the Internet, it is becoming increasingly difficult to conquer every aspect of optimization. With the help of an external consultant, businesses are able to speed up their online marketing campaigns. With the help of experts, you can achieve your potential traffic level quicker. Executing an effective SEO strategy is hard work. Even though you may have got your strategy right, chances are that your projects are not going through fast enough. With hundreds of other business functions to look into, hiring a dedicated expert is a smart way to keep things moving. Hiring an expert once you have outlined your online goals is a great way manage your opportunity costs and check things off your task list. Working on a single website for months together can get quite boring. Innovating with your articles or website content can become a problem. In order to avoid a creative block, bringing in expert help will allow you to explore fresh ideas and a new perspective to help your business grow. Executing enhancements for your SEO strategy is an expensive affair that can take months. By hiring an expert, you can leverage his experience to prioritize your enhancements on various Web properties to make sure you acquire maximum return on investment. Chances are that the SEO expert you hire comes with a skilled and experienced team. Hiring Internet consultants can prove to be a rewarding and refreshing change from the one-man show that you have been running with so far. Chances are that the in-house SEO professional you hired is on his first job. The extent of his experience may be limited only to the challenges and opportunities your business has been able to offer. An outside expert comes with a much more diverse base of experience and knowledge which can, in turn, be leveraged for your business objectives. To summarize, the next time you are trying to convince your board about hiring an external expert to meet your SEO objectives, make it a point to highlight how this will help you in expediting your project. Outsourcing SEO can also help in channeling your in-house resources in areas where they can prove to be more functional. With a chance to double-check all your strategies and leverage additional learning opportunities, hiring outside experts is a sensible way to achieve online success. Guest Post: 7 Tips to Get the RIGHT Traffic to Your eCommerce Store You have got to play the following 7 smart moves to attract business to yourself amid all your e-competitors. Guest Post: Why Your Website Should Be Mobile Friendly Billions of people use smart phones and the number is on a staggering rise. This is one of the biggest reasons to outreach a bigger audience. How Important is SEO for Corporate Social Media Pages? AllFacebook has some interesting stats on the ranking of corporate social media pages in Google searches. It is amazing to me that, as digital...marketing has been around for some time now, more brands haven't focused on Search Engine Optimizing their social media pages yet.